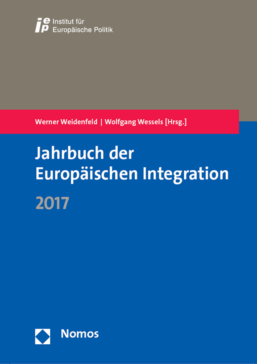 The Yearbook of European Integration published by the Institute for European Politics (IEP) in Berlin documents and balances the European integration process from 1980 to the present. The result of 37 years of continuous work is a uniquely comprehensive account of European contemporary history. The “Yearbook of European Integration 2017” continues that tradition. In the contents of about 100 articles the authors trace developments in European politics in their field of research priority in the reporting period 2016/17. They supply information on the work of the EU institutions, the developments of different policy areas in the EU, Europe’s role in global politics and the member and candidate states’ European policy. The yearbooks and more than three decades of European history are also available at www.Wissen-Europa.de.